The course includes 120 hours of mandatory practical placement in Industry, which All Health Training organise on our students' behalf. The hours of work required within hospitals is usually in two shifts, the morning shift is from 7:00am - 3:00pm which is the preferred shift for our students to attend. Placement is preferred to be completed in a block, which means you have to attend continuously during weekdays. Where your class is on a weekday, you will attend 4 days of placement and attend your regular class which means you will complete placement in 4 weeks. If your class is a Saturday or night class, you must attend 5 weekdays which means you will complete placement in 3 weeks. If there is a public holiday during your placement you must make those hours up at the end. When considering your placement dates please ensure that you have accommodated public holidays, potential absences due to illness and your class schedule. Students are required to obtain an employee Working with Children's check (WWC) to commence placement. This is at the students own cost. 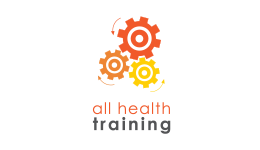 Upon successful completion of this course, you will receive an accredited Certificate III in Health Services Assistance (HLT33115) from All Health Training.